s13, 180sx Silvia BN Style Bodykit (front and rear bumpers and side skirts) Made from stron..
s13, 180sx Silvia BN Style front bumper Made from strong fibreglass Perfect fitment guaran..
s13, 180sx Silvia BN Style rear bumper Made from strong fibreglass Perfect fitment guara..
s13, ps13 180sx Silvia fibreglass doors L/H, R/H Doors made from strong fibreglass ***TRACK ..
Made from strong flexible fibreglass. Available in black or white finish. 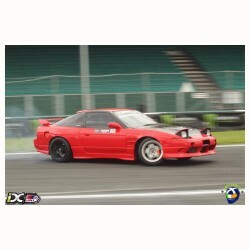 What's..
Nissan silvia 180sx s13 rear quarter panels 50mm wider Made from lightweight flexible and v..
made from high quality lightweight fibreglass perfect fitment guaranteed What's Included: ..
75% lighter then original steel covers!!! Made from lightweight fibreglass Available in blac..